1) Press Win+R buttons simultaneously on your keyboard. 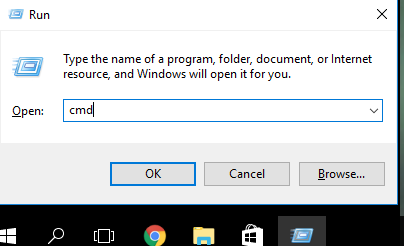 This will open Windows' run dialog. 2) Type cmd and hit enter. This will show you a terminal window. Don't be scared of the black window, though. 3) In the terminal type ipconfig /release and hit enter. 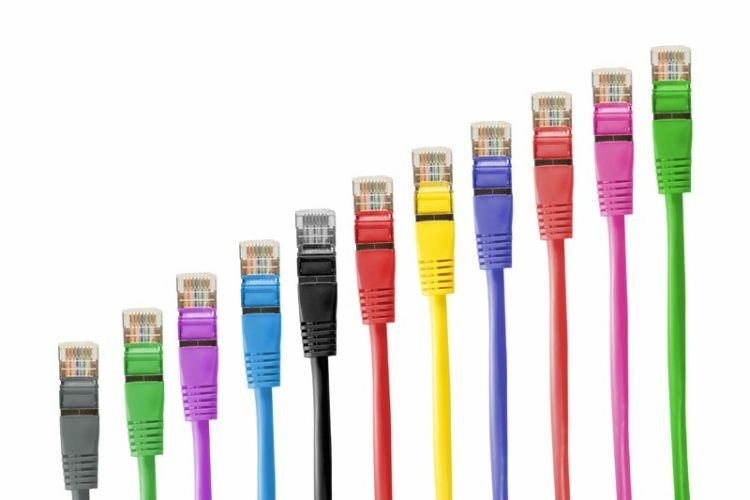 This will release IP addresses on all network interfaces. Some of them might fail, but don't be alarmed. 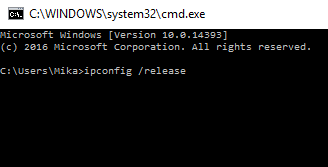 4) Now, write ipconfig /renew and hit enter. This will renew your local IP. Once the command is finished, you'll be connected to the internet.